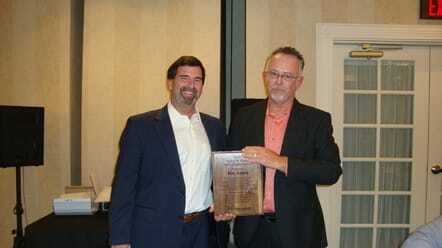 Clarksville Montgomery County Home Builders Association Awarded Marvin Herald with Herald & Phillips Builders LLC, as 2015 Builder of the Year. 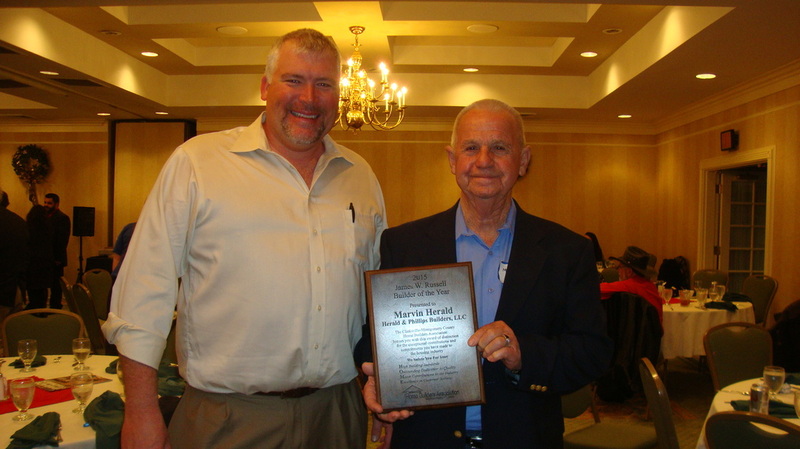 Marvin Herald pictured here on the right, presented by John Crabbe, 2016 CMCHBA President(left). Marvin started his career in the building industry as a framing contractor, then as time went on decided that he wanted to get his contractors license. Herald has built over 400 homes in Montgomery County. Built several award winning homes in the annual Parade of Homes. 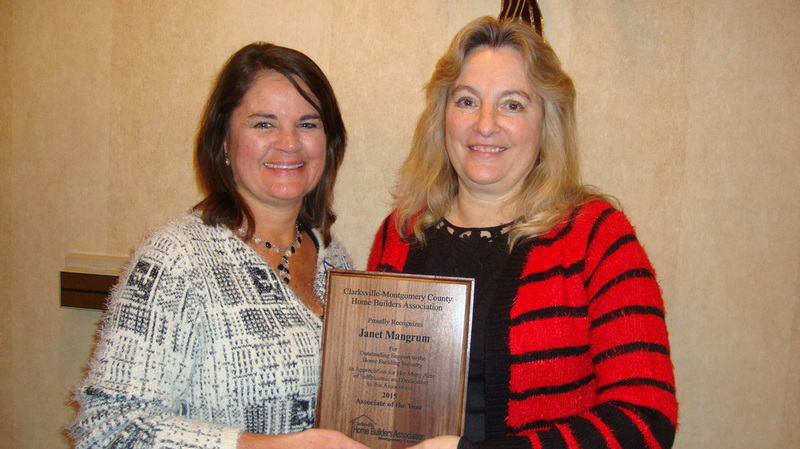 Clarksville Montgomery County Home Builders Association awarded Janet Mangrum(right) of Clarksville Lighting & Appliance as 2015 Associate of the Year. Pictured with HBA Executive Director Karen Blick (right). Janet has made many outstanding contributions to the association and its membership. She has served many home buyers, builders and suppliers with their home building and remodeling needs.